In what can only be described as a match made in design heaven, this month will see the launch of a collaboration between luxury lifestyle brand, Lumira and Melbourne’s ultimate style aficionado, The Cool Hunter. While founders of Lumira and The Cool Hunter, Almira Armstrong and Bill Tikos respectively, have known and avidly followed the work of one another for many years, it is now that a highly considered collaboration comes to life through the release of a limited edition Lumira candle, aptly named, The Cool Hunter Melbourne. With a freestanding boutique in the heart of Melbourne, The Cool Hunter represents everything that the capital of Victoria is known for – style, culture and sophistication. It was for these qualities, as well as sheer attention to detail and quality that The Cool Hunter and Lumira were drawn to one another. Stocked exclusively through The Cool Hunter Melbourne store, the candle fragrance is a heady mix of citrus, lemon and grapefruit top notes, hints of patchouli and tobacco through the middle, rounded out by more earthy tones of vetiver, amber and musk through the base of the fragrance. 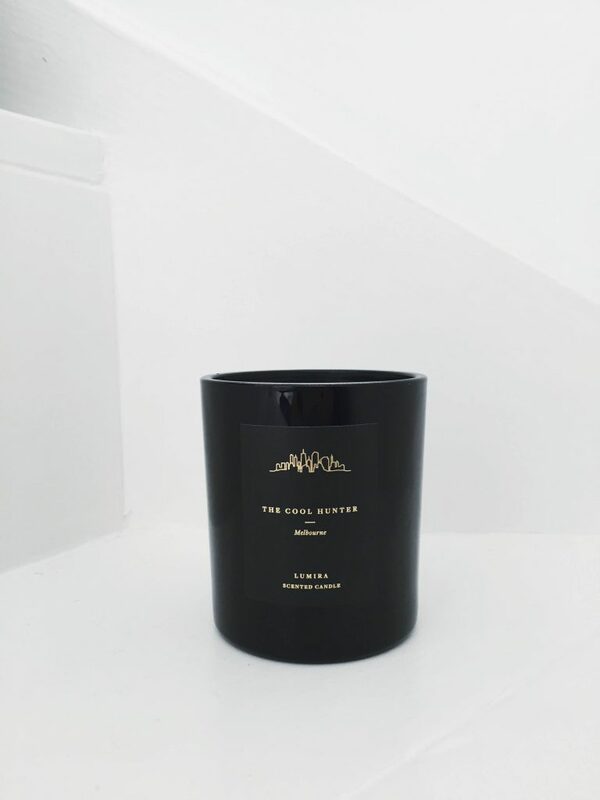 The Cool Hunter Melbourne candle ($59) will be available in store from July 20th, 2016. Clarisonic, the creator of the bestselling skin cleansing device, today introduces Mia FIT –its most compact and versatile device yet. This new device provides a gentle and effective cleanse wherever your life takes you – the gym, the airplane, work or home. Cleansing with Mia FIT only takes 60 seconds and the result is skin that that looks and feels amazing. The Mia FIT has the power of a full-sized Clarisonic device in a new design that is half the size– delivering a gentle on-the-go cleanse that is 6X better than using hands alone. 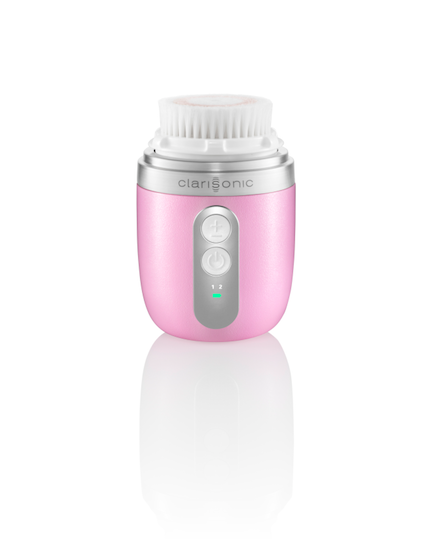 Clarisonic Mia FIT is specifically designed for women who need a skincare routine that easily fits their busy lives. 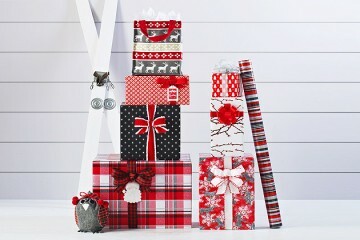 This travel-friendly design is comfortable to hold and is small enough to stash in a gym bag, carry-on or bathroom drawer. Like Alpha Fit, Clarisonic’s first-ever men’s device, Mia FIT features both a new shape and two streamlined settings to target every cleansing need. Setting 1 provides a 60 second delicate cleanse for everyday impurities, and Setting 2 provides a 80 second power cleanse, perfect for after workouts or for long-wear makeup removal. The Mia FIT also comes in three beautiful shades – pink, blue and white. The new Mia FIT also features the Radiance Brush Head with smooth, soft bristles that delivers a luxurious and effective cleansing experience. This unique and patented brush head is velvety-soft and helps to improve skin texture. Every Mia FIT sold also includes the Skin Illuminating Cleanser that is formulated with Licorice Root extract, Peppermint Leaf extract and Ginko Biloba Leaf extract to provide a more radiant looking complexion. 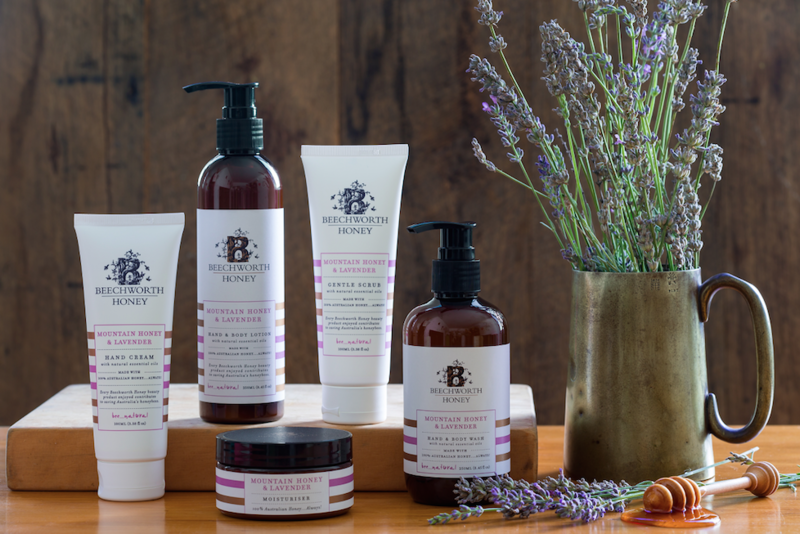 Straight from the beehive to you, Beechworth Honey, introduces its first honey-tinged range of Bee Natural Beauty products. The natural line harnesses the healing, replenishing and cleansing properties of honey in two delicious honey-laced botanical and nut fragrances. Bee Natural puts the power of honey to work in five essential products available in Bush Honey and Macadamia and Mountain Honey and Lavender. Both delicately perfumed with two distinctly different honeys and range of ‘bee friendly’ plants and nuts that depend on the hardworking honeybee for pollination. Made in Australia, Bee Natural contains 100% Australian Beechworth Honey with nut, botanical and plant extracts and oils that are carefully selected to be as pure as possible (products are 98% natural). 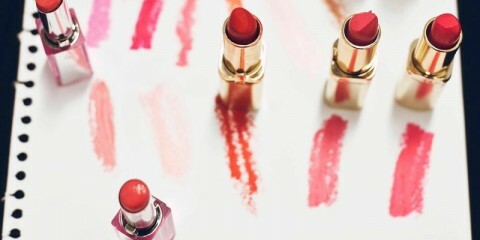 There are no artificial colours, synthetic fragrances, sulphates, paragons and no animal testing. 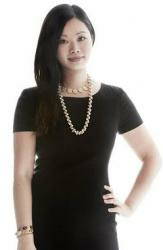 Bee Natural skin care is gentle on you, the environment and the honeybees. We have bees to thank for one in every three mouthfuls of food we eat! Sadly they are under threat around the world. Every Beechworth Honey product sold contributes to saving Australia’s honeybees by funding our ‘Bee Cause’ programs of research, education and conservation.